Mid-Iowa proudly offers ENZ pipeline cleaning tools. 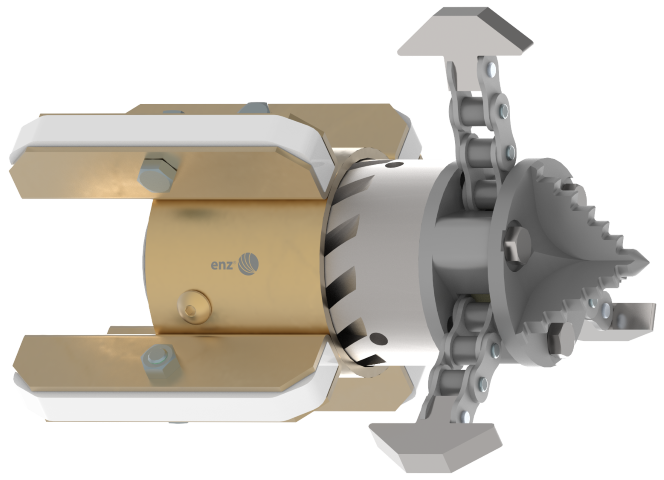 ENZ Manufactures a wide range of pipeline cleaning nozzles and Root Cutters and Accessories for all of your pipe cleaning requirements. We have nozzles for any size pipe. ENZ offers a large range of high quality pipe cleaning tools. Since 1985 through innovative designs, ENZ has assisted the sewer and pipe cleaning industry to remain on the forefront of new and creative technologies. This ensures superior quality and gives you, the customer, a product that is efficient and durable. We are interested in being your Partner and helping you find the best solution for your problems. With our know-how and efforts we will accept any new challenges to help keep you on the forefront of the newest techniques available. All enz® tools are calibrated to Customer specific Pump and Hose specifications with our own JetCalc® Software to optimize the performance of your Jetter. 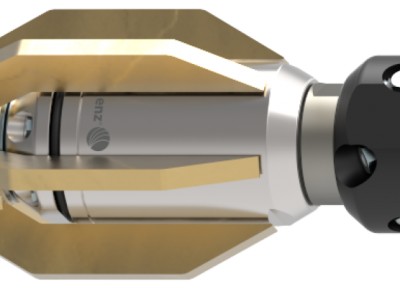 The enz® rotating nozzles are remarkable for their tremendous cleaning efficiency, which is based on Drive and Brake jets which increases and decreases the rotational speed with every half rotation therefore limiting the rotational speed. The resulting pressure vibrations essentially contribute to the disintegration of troublesome deposits in the pipe. We also carry a complete line of Rotating Chain Scrapers and Percussion Milling Cutters. 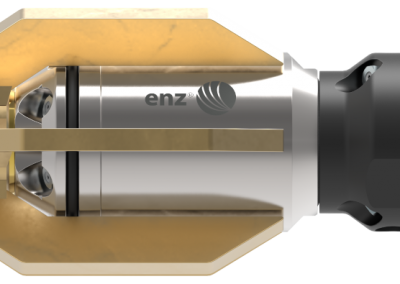 Our ceramic orifice inserts ensure that enz® tools have an outstanding durability.